Funky sweaters bring pizzazz to your winter wardrobe. 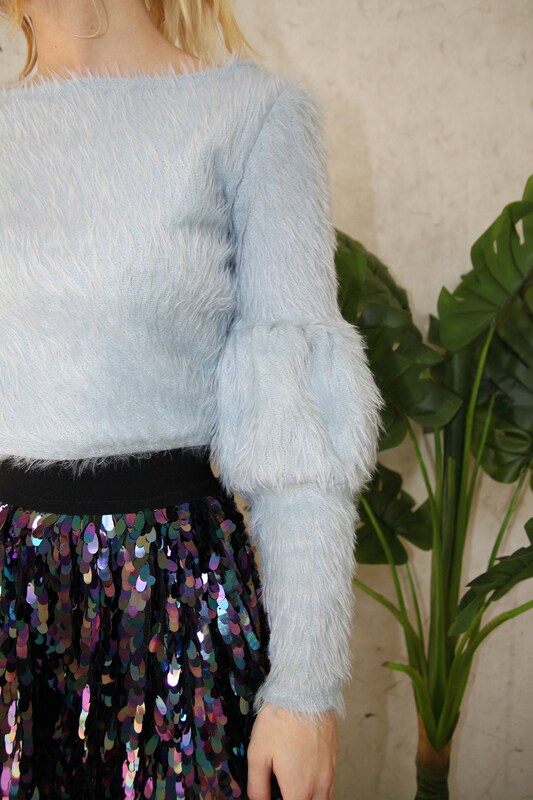 This baby blue, fuzzy textured sweater paired with it's gathered elbow sleeves will be like no other sweater in your closet. Paired with our Slyvia Skirt. Baby blue furry textured one way stretch knit fabric. Long sleeved. Gathered elbow sleeves. Cropped.